Source Atlantic is an authorized Enerpac distributor and service centre. 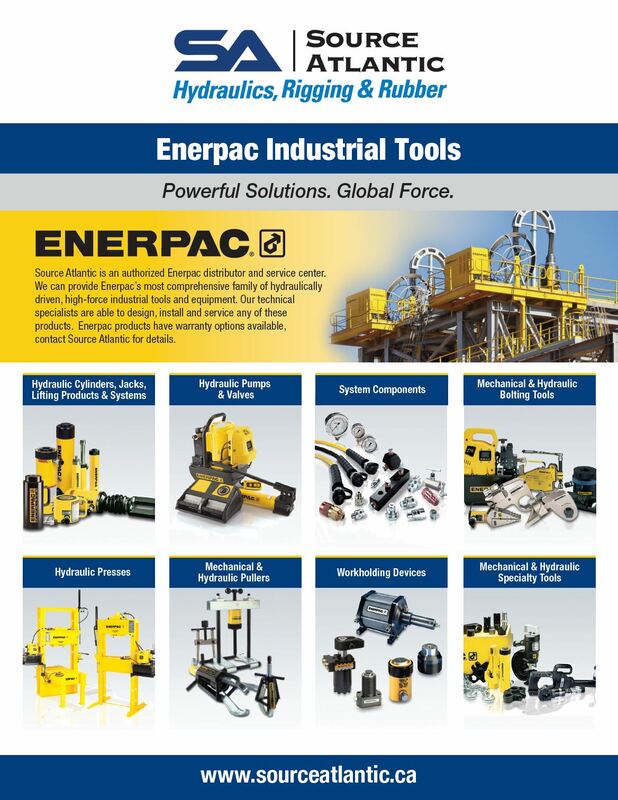 We provide Enerpac’s most comprehensive family of hydraulically driven, high-force industrial tools and equipment. High pressure hydraulics combined with computer-controlled monitoring systems for precise lifting applications. A trailer with a slim design to transport large and heavy objects. Synchronous Lifting System – High pressure hydraulics combined with computer-controlled monitoring systems for precise lifting applications. A system comprised of a series of skid-shoes powered by hydraulic push-pull cylinders, travelling over a pre-constructed track.